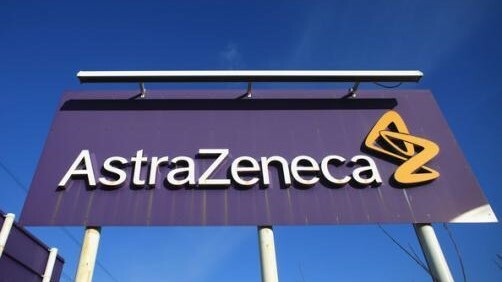 AstraZeneca is counting on a new generation of cancer drugs to rebuild sales after a fallow period, and one of them just got a boost with favourable new data in a certain group of lung cancer patients. Data showed patients on the PD-L1 immunotherapy Imfinzi (durvalumab) lived on average 16.8 months without their disease progressing, compared to 5.6 months for those taking a placebo in the important segment of patients. The results build on favourable progression-free survival data already announced in September. The drugs giant, with MedImmune, its global biologics research and development arm, announced positive overall results following its PACIFIC trial, which involved patients with Stage 3 non-small cell lung cancer (NSCLC) whose disease had not progressed following platinum-based chemotherapy concurrent with radiation therapy (CRT). Independent analysis concluded that the trial had successfully met the second of two primary endpoints by showing statistically significant overall survival (OS) rates with a clinical improvement in patients receiving Imfinzi compared to a placebo. Also, researchers said the frequency and severity of treatment-related adverse events in the trial were comparable between the Imfinzi and placebo patients, meaning its safety is at expected levels. Sean Bohen, executive vice president, global medicines development and chief medical officer at AstraZeneca, said: “The readout of positive overall survival data at the interim analysis of the PACIFIC trial provides additional compelling evidence of the clinical benefit that Imfinzi can offer patients in this earlier stage of lung cancer. Imfinzi, an immunotherapy drug, is a human monoclonal antibody that thwarts the way tumours evade the patient’s immune response, unleashing immune T-cells to kill cancer cells. However Imfinzi missed the mark in untreated NSCLC last year, a market where Merck & Co’s Keytruda is the dominant immunotherapy. Preliminary results from the MYSTIC trial showed Imfinzi taken in combination with tremelimumab did not stay disease progression in first line NSCLC. Results from an overall survival analysis that could salvage the situation have been delayed until later this year. AZ is looking to drugs like Imfinzi to rebuild sales after patents expired on several blockbuster drugs, letting in competition from cheap generics.